According to the Undersheriff Douglas C. Gillespie, the Las Vegas Metropolitan Police Department “has come a long way since its inception in 1973. On July 1, 1973 action of the Nevada Legislature merged the Clark County Sheriff’s Department and the Las Vegas Police Department into the Las Vegas Metropolitan Police Department. Randy Sutton is a Field Lieutenant with the Las Vegas Metropolitan Police Dept and a thirty year police veteran. He began his career as a Patrolman with the Princeton Borough Police Dept. and left that department holding the rank of Detective. In 1986 he joined the Las Vegas Metro Police and served as a Patrol Officer, Field Training Officer, and Narcotics Detective before being promoted to Sergeant. He held that rank for 13 years while being assigned to Patrol, Field Training, Community Oriented Policing, Investigations, Task Force operations and Supervisor of Advanced Training. He currently serves with the Northwest Area Command. He is one of the most decorated Police Officers on the department holding commendations for “Valor”, Meritorious Service” Community Service Award” and several “Lifesaving” awards. Randy has also been featured on numerous episodes of the popular television show “COPS”, “America’s Most Wanted”, “Cop Files” and co-starred in the pilot episode of “Las Vegas” with James Caan. A member of the Screen Actors Guild, Randy has also appeared in such feature films as “Casino” with Richard Deniro, “Miss Congeniality II” with Sandra Bullock and “Fools Rush In” with Selma Hayek as well as numerous commercials. He has also been featured as a Law Enforcement commentator for Fox News and the “Maury Povitch Show” as well as numerous news broadcasts. Randy is the author of two popular books published by St. Martins Press. 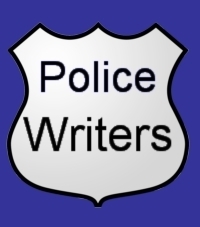 “TRUE BLUE Police Stories by Those Who Have Lived Them” and “A Cop’s Life” and is currently at work on “TRUE BLUE II” to be published in 2008. His articles on Law Enforcement related issues have been featured in “American Police Beat”. “Law Officer Magazine”, “Policeone.com” and he publishes a regular column entitled “A View From the Blue” in “24/7 Cop to Cop News”. He travels extensively, speaking to Law Enforcement Agencies and groups on the subject of ethics and integrity in a presentation entitled “Policing with Honor” based on his poplar article of the same name published in several national Law Enforcement Publications.